We’ve seen a great deal of press around the use of polythene bags lately, especially following the introduction of the single use carrier bag tax in Wales, and the planned introduction of a similar tax in the UK in 2015. In spite of the bad press however, polythene still remains a widely used form of carrier bag in all types of retail, so we thought we would provide a simple guide to how plastic carrier bags are made! 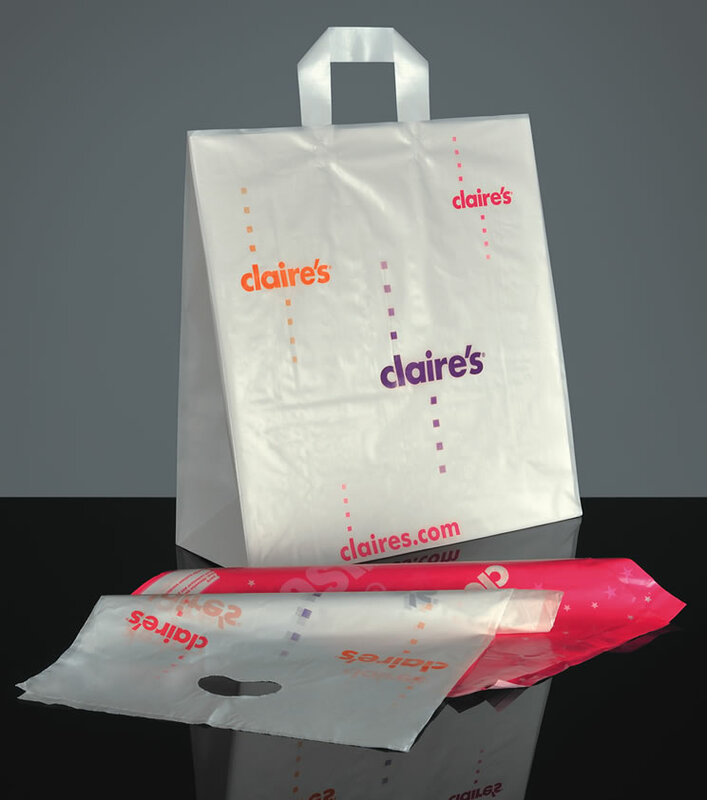 Most polythene bags are made using the blown film extrusion process. Small plastic pellets (resin) are melted down in a hopper, then extruded through an annular slit die to form a vertical tube. Cool air is ‘blown’ up into the tube until the polythene reaches the size and thickness needed. The overall effect is a little like producing a long thin balloon. Once cooled, the long tube is flattened via rollers and wound onto a roll. The polythene bag is created when the flattened rolls of film are heat-sealed across the width of the film and cut. The thickness of the bag is measured as a gauge or in microns and vary between 80 Gauge (20 microns) to 1000 Gauge (250 microns). The colour of the film is determined by the coloured resins (master batch) used, although polythene carriers can be printed using matt or gloss inks. 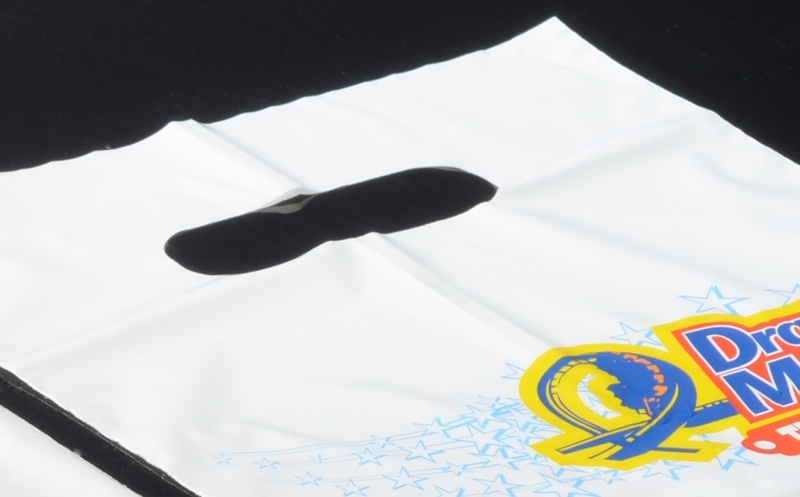 The process of printing polythene can be tricky, and results vary, so it is best to ask your account manager for advice on what designs would work best for your choice of polythene. So called because of its high molecular weight, HDPE is very strong. For that reason, it’s the one that’s used most commonly in supermarkets, and is instantly recognisable by its distinctive rustling sound. Although brittle, HDPE is ideal for carrying heavy loads. Smooth and shiny, LDPE is best for high quality printing with gloss inks. This substrate is softer than HDPE, and slightly elastic so it is not as strong. Most LDPE bags are from 30-35mu up to 120mu with an average of 40-60 micron LD. The best of both worlds, it’s a blend that combines the benefit of both polymers. A carrier bag extruded to combine two strengths, eg 90/45, 90mu where strength is needed (around top and handle area) and then 45mu in other areas. Usually produced in LD, varigauge carriers are not suitable for 100% ink coverage due to the uneven guage. Brand names for additives to the polymer which enable the carrier to degrade more quickly under specific environmental conditions (i.e buried in landfill). More and more customers are requesting this additive as an environmentally friendly option. 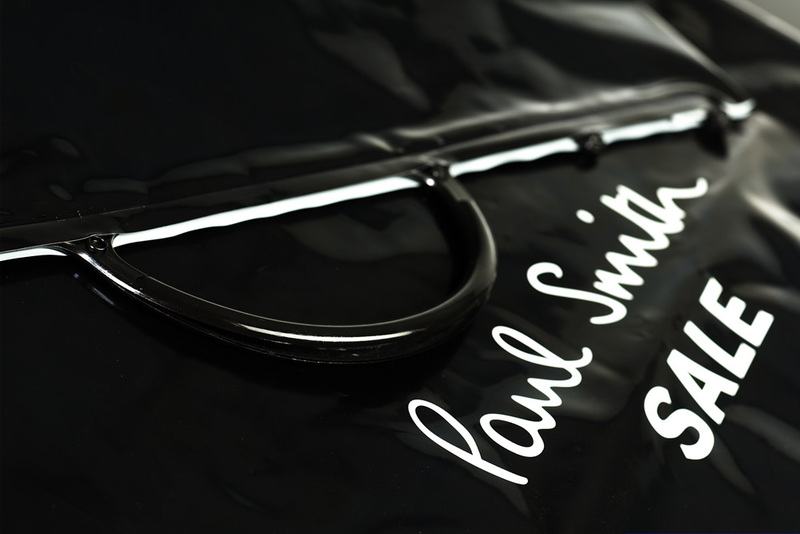 Handle types vary depending on the type and style of bag you want. There are many, but here are just a few of them. Can be produced from both HDPE & LDPE films. Can be continuous with one knot, or two handles with four knots. A card reinforcement will be needed for the turn in top area, as in hand-made paper carriers. Other handle types such a PVC or rubber tubing are also available. These are rigid plastic handles that clip together. They are usually supplied in black or white depending on the print and style of the carrier, although other colours are often possible. 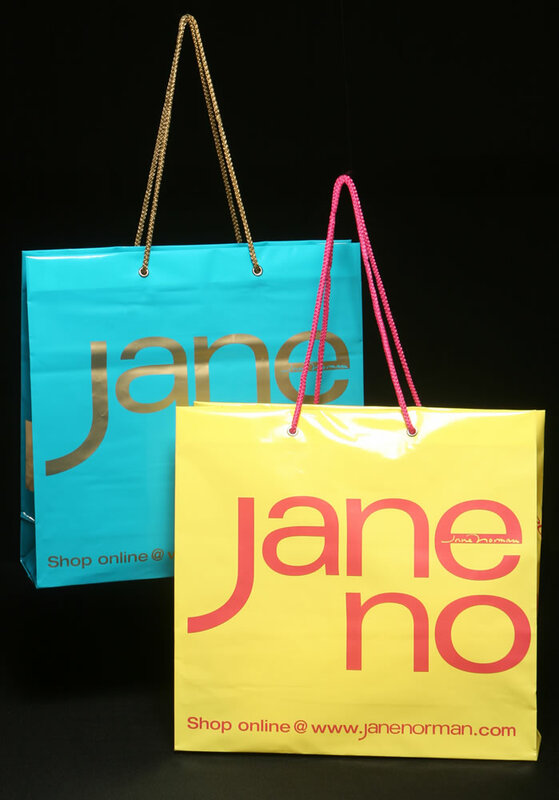 Great for exhibitions or shows, as the bag can be worn over one or both shoulders. Continuous cords run through the turn-in top section of the carrier. The cords are pulled to draw the top of the bag together. 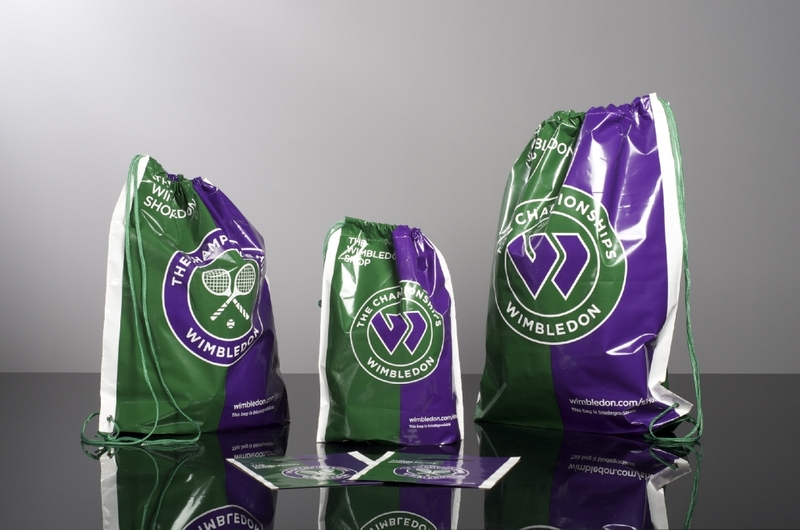 If you would like to see samples or talk to us about your polythene carrier bags, please give us a call on 0116 289 0900 or email info@keenpac.co.uk.